Mike D: sorry, I had a bad day yesterday. Neon Knight: yes, well put. I agree with everything she said except AR being a good film. yes, this is really before us, the years, 10,000 years ago. just as Sebastian said to Alexis in the 1st AVP. and yes the Preds really has something to do about this, which i made a print of the space jockeys and also the revealed story from Aliens Original Sin: it explains everything and i'm sure that the Aliens book will be the story to the Alien prequel, the opening,the storyline. thanks to Annalee Call. she knows. Still unsure about this whole Prequel thing. Rob, Thank you, I hope your day is better today. Rudy, it's not. It's set on a human SPACESHIP. It's going to be pretty much along the lines of the original 'Alien'. You might get a flashback to some sort of historical thing, at most. Nothing more. The canonical nature of the AVP films is a matter of debate. The first one could have potentially fitted in canon, but the second threw up too many inconsistancies, for my own liking. she will not be alien prequel because it is event befor of the fist alien movies. How many times are we gonna hear the same line? Weaver needs to come out and spill the beans. I agree,crossovers are stupid indeed!!! I really don't like these mixtures. i think that the Alien Queen was however left the derelict ship and her children "the eggs" there. for some reason. and it was really stranded there for how long? after, 10,000 years? I wonder how the queen was let out and started to lay her children. 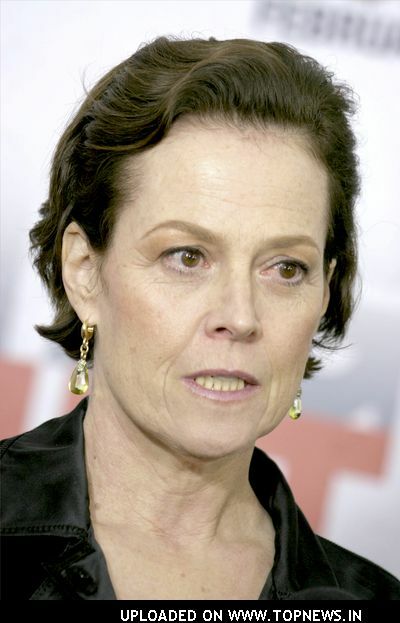 Sigourney Weaver is aging quite nicely I think. Her not being in a prequel is fine, since she wouldn't know of the aliens or even be born if it is too far in the past. Besides, if she is going to ever be in a new Alien film then no sweat, she looked great in the Aliens Direct TV commercial. i just downloaded a poster image of the new Alien prequel from Google.com and it shows the title without the "i" it says: AL E N ORIGIN. i found out when i downloaded it the letters reminds me of @ the end of ALIEN RESURRECTION where the clouds are making letters or pictures, maybe you ALIEN/PRED/AVP fans know when Rip and Call and the others reach earth but not crash landed it was the theatrical version after their dialogue, did you even seen the letters for the next Alien prequel which it reminds you and us there were gonna be another one coming? "a journey, a dangerous crash, a dangerous secret".